StayinFront offers mobile field force solutions with features that support traditional and modern trade, from big box to small independent stores. 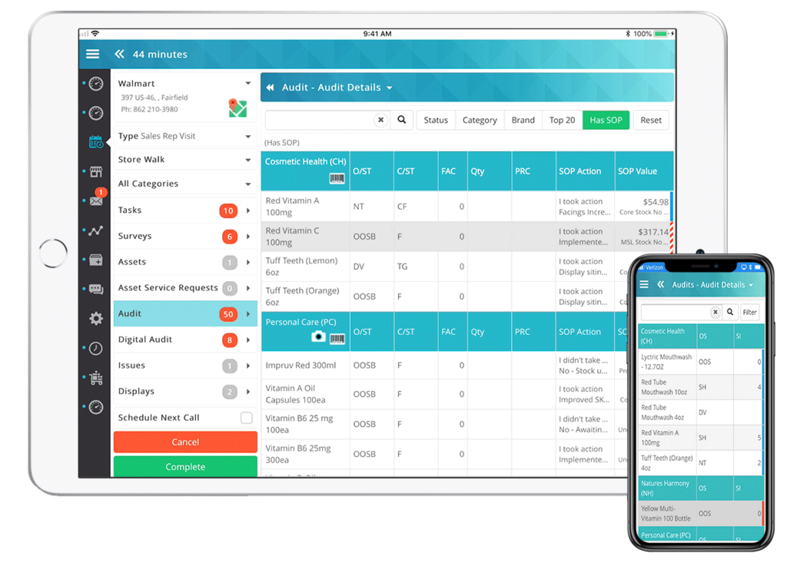 Your field reps will be able to complete work more efficiently with automated, guided workflows and instant access to information from across the organization. Conduct audits for products in multiple locations throughout the store. Easily supports over 25 languages. Guide reps through a store visit with specific tasks, in a specific order according to company process and best practices. Easily take, tag and upload photos from a tablet or smartphone. Integrated mapping lets reps optimize their visit plans and identify nearby stores. 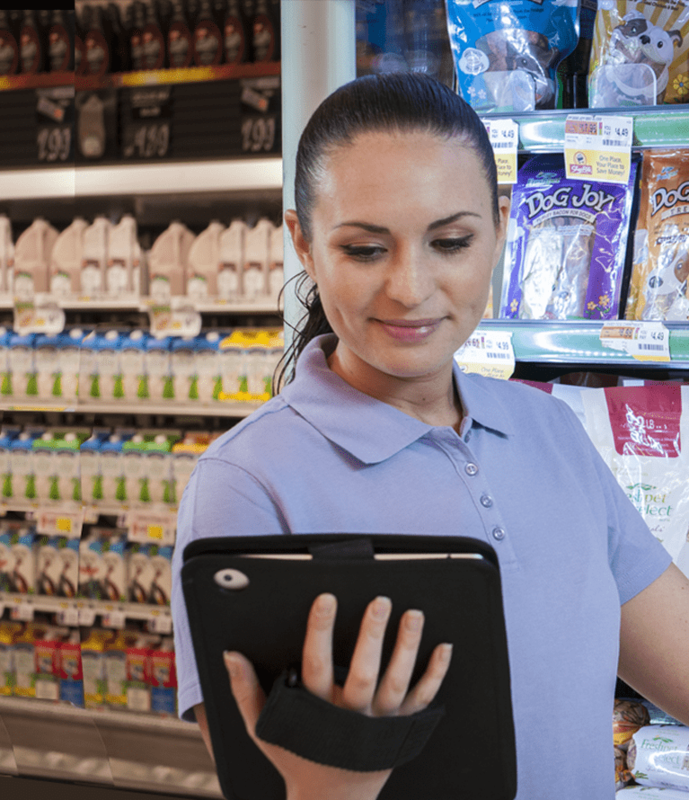 Draws together multiple retail tasks, including recurring, promotional and one-time activities, into one place letting field rep see only what is necessary for each store visit. Orders taken in the field are automatically uploaded into the home office ERP system. Enables reps to account for multiple payment types including cash, check and credit card. Reps can quote and submit accurate orders with complex discount structure without an internet connection. Google Maps integration lets field reps see customers plotted on an online map, plan sales calls and follow up visits. Capture one or more signatures for electronic record of order and delivery. 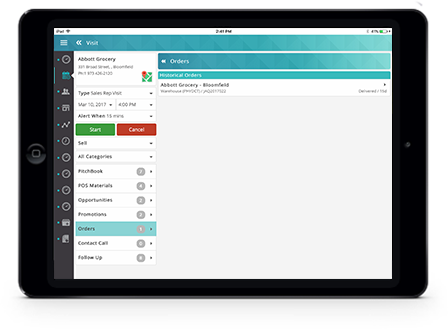 Generate and print orders, invoices, credit memos and payment receipts on mobile printers.